We are still getting settled, but we are all moved in and working towards getting the Downtown Richmond Visitor Center ready for visitors. Speaking of which…if you work for a nonprofit/community group, government or transit agency, or local attraction, please contribute to the visitor center’s resources! Contact us about including information about your services in the lobby. Stay tuned for your invite to our grand opening event (March). Get a sneak peak by coming to our community meeting on February 13! 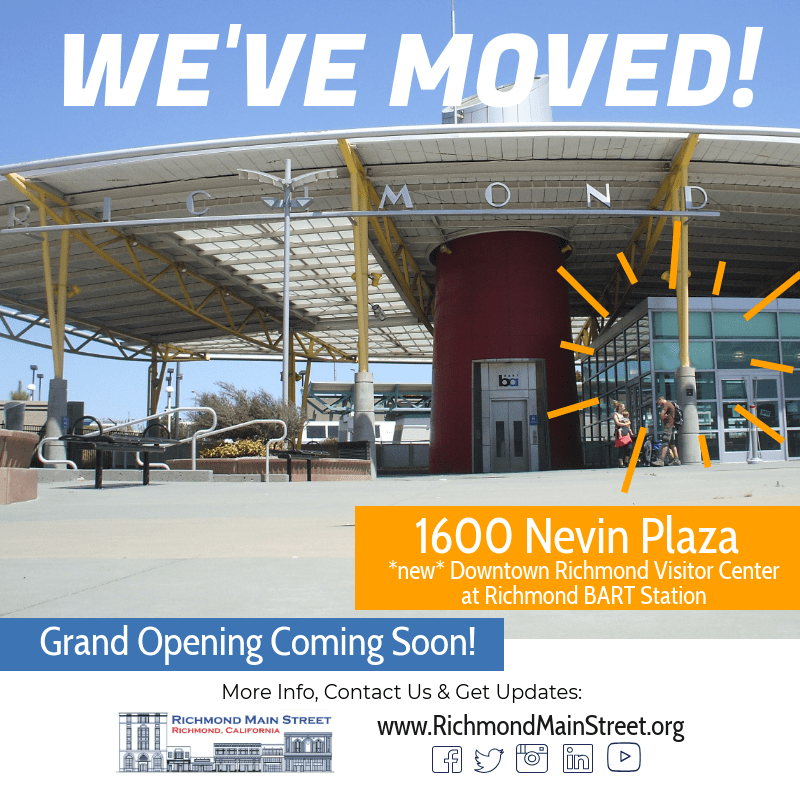 We are located in Downtown Richmond Visitor Center, at Richmond BART: at street level, next to the 16th Street elevator/in the plaza across from BART garage. Parking is limited. 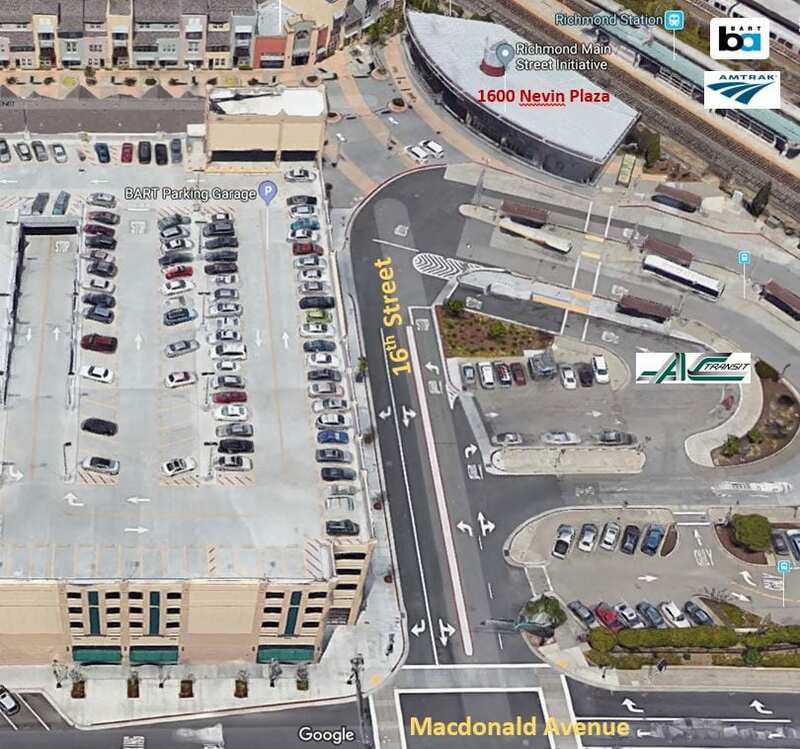 Street parking along Macdonald Avenue (free, 2-hours) and the lot at Marina Way (paid) are options. The BART garage is reserved for riders until 3pm. Public transit options include BART (Richmond line), AC Transit (72M, 74), and Amtrak (Capitol Corridor, San Joaquins). Bike lockers are also available.